On June 9, 2011, Alabama Governor Robert Bentley signed into law the Beason-Hammon Alabama Taxpayer and Citizen Protection Act (the “Act”). Formerly HB 56, the Act is a 70 page document which makes broad changes to the way Alabama deals with illegal immigrants and unauthorized aliens. Several of the new provisions govern private businesses and employers and impose significant new obligations, as detailed below. On August 29, 2011, Judge Sharon Blackburn of the United States District Court for the Northern District of Alabama entered an Order temporarily staying enforcement of the Act as part of an action by multiple plaintiffs to overturn the Act. On September 28, 2011, Judge Blackburn entered a 115-page summary opinion regarding Sections 10, 11(a), 12(a), 13, 16, 17, 18, 27, 28 and 30 of the Act. Of those Sections, Judge Blackburn upheld the temporary injunction staying enforcement of Sections 11(a), 13, 16 and 17 until she renders a final judgment. The remaining portions of the Act, including the major provisions affecting private business and industry and the reporting requirements for public schools, are released from the stay. We are pleased to provide this legal update to our clients and friends. At the end of this update, see the Common Sense Counsel which list steps all Alabama employers should consider taking to prepare themselves for these mandated changes. Unless otherwise stated, all citations are to the Act. Section 15 of the Act governs the employment of unauthorized aliens within the State of Alabama. Effective April 1, 2012, “[n]o business entity, employer, or public employer shall knowingly employ, hire for employment, or continue to employ an unauthorized alien to perform work within the State of Alabama.” SECTION 15(a) (emphasis added). To knowingly employ, hire for employment or continue to employ an unauthorized alien is to do so in violation of the Federal law and procedures set forth in 8 U.S.C. § 1324a(b)(1)-(3) for employee verification. An “unauthorized alien” is any person who is not a citizen or national of the United States and who is not authorized to work in the United States pursuant to Federal law. SECTION 3(1), (16). A “business entity” is any person or group of persons “engaging in any activity, enterprise, profession, or occupation for gain, benefit, advantage, or livelihood, whether for profit or not for profit.” SECTION 3(2). This includes self-employed persons, as well as traditional business entities. An “employer” encompasses any person or entity that employs another person in the State of Alabama, with the exception of a resident hiring domestic laborers. SECTION 3(5). Section 15 expressly does not apply to “the relationship between a party and the employees of an independent contractor performing work for the party and does not apply to casual domestic labor performed within a household.” SECTION 15(l). Each and every business entity or employer in the State must enroll in the E-Verify system and use that system to verify the employment eligibility of every employee. SECTION 15(b). E-Verify refers to the Federal electronic employment authorization verification system established by the Illegal Immigration Reform and Immigrant Responsibility Act of 1996, 8 U.S.C. § 1324a, and operated by the United States Department of Homeland Security. SECTION 3(7). The Alabama Department of Homeland Security shall create a separate E-Verify “employer agent service” for use by any business entity or employer with 25 or fewer employees to verify employment eligibility on behalf of the employer. SECTION 26(a)(1). E-Verify provides a safe harbor so that an employer who uses the E-Verify system for each employee “shall not be deemed to have violated [Section 15] with respect to the employment of that employee.” Id. Furthermore, a business entity or employer that uses E-Verify to verify the status of an employee in good faith “and acts in conformity with all applicable Federal statutes and regulations is immune from liability under Alabama law for any action by an employee for wrongful discharge or retaliation based on a notification from the E-Verify program that the employee is an unauthorized alien.” SECTION 26(d). SECTION 15(c). Before the business license or permits may be reinstated, the business entity or employer must submit a signed, sworn affidavit stating that it is in compliance, as well as a copy of its enrollment in the E-Verify program. SECTION 15(d)(1). A second violation requires the immediate revocation of all business licenses and permits for the location where the unauthorized alien performed work. SECTION 15(e). A subsequent violation shall result in the permanent suspension of the business license and permits throughout the state. SECTION 15(f). By statute, there is an affirmative defense of entrapment by law enforcement officers. See SECTION 15(k). This defense is a last resort and is not recommended. Note that a business entity or employer that terminates an employee to comply with the requirements of Section 15 is not liable for claims made by the terminated employee, “provided that such termination is made without regard to race, ethnicity, or national origin of the employee and that such termination is consistent with the anti-discrimination laws of this state and the United States.” SECTION 15(i). Although normally the domain of local district attorneys, the Attorney General may bring a civil complaint for enforcement of the employment laws. SECTION 15(k). Any resident of the State may petition the Attorney General to bring an enforcement action against a business in any county where it does business. SECTION 15(k)(1). 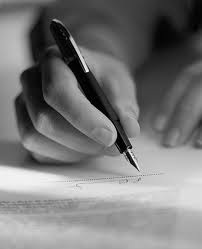 The resident must submit a signed, written petition that alleges the specific violators, the actions constituting the violation, and the date and location of the violation. Id. Section 9 of the Act places restrictions on awards of any “contract, grant, or incentive by the state, any political subdivision thereof, or any state-funded entity” to any business entity or employer with one or more employee. SECTION 9(a). As a condition to any such award, the business must not knowingly employ, hire for employment, or continue to employ an unauthorized alien. Id. Each business awarded a contract, grant or incentive from the state, or any political subdivision or state-funded entity, must sign a sworn affidavit stating that it has not and will not knowingly employ, hire for employment, or continue to employ an unauthorized alien. Id. As a second condition to the award of any “contract, grant, or incentive” by the state, a political subdivision or a state-funded entity is that the private business must provide documentation establishing enrollment in the E-Verify program and must participate in the E-Verify program during the performance of the contract. SECTION 9(b). Every subcontractor “on a project paid for by contract, grant, or incentive” by the state, a political subdivision or a state-funded entity must provide a sworn affidavit stating that it has not and will not knowingly employ, hire for employment, or continue to employ an unauthorized alien. SECTION 9(c). Additionally, the subcontractor must also enroll in E-Verify and attach documentation establishing its enrollment to the employment practices affidavit above. Id. “A contractor of any tier shall not be liable” for a violation of Section 9(c) by its direct subcontractor if the contractor has received a sworn affidavit from the subcontractor stating that the subcontractor has complied with the E-Verify requirements of Section 9(c). SECTION 9(d). There is an exception to this safe harbor if the contractor knows that its direct subcontractor is violating Section 9(c). A business that violates Section 9(a) of the Act for the first time shall be deemed in breach of contract, and the state, political subdivision or state-funded entity may terminate the contract after notice and an opportunity to be heard. SECTION 9(e)(1). In addition, the government entity may then apply to the Attorney General to bring an action to temporarily suspend the business licenses and permits of the business for a period not to exceed sixty (60) days. Id. The court in that action shall then order the business to file a signed, sworn affidavit with the local district attorney within three (3) days after the order suspending its business licenses stating that the business “has terminated the employment of every unauthorized alien and the business entity or employer will not knowingly or intentionally employ an unauthorized alien in this state.” Id. The suspension shall terminate one (1) business day after the submission to the court of an affidavit by the business stating that it is in compliance with the Act. SECTION 9(j). Prior to the suspension under Section 9(e)(1) being lifted, the business must file an affidavit stating that it is in compliance with the Act and attaching the documentation establishing its enrollment in E-Verify. Id. Upon the second violation or subsequent of Section 9(a) by a business, the business shall be deemed in breach of contract, and the state, political subdivision or state-funded entity shall terminate the contract. SECTION 9(e)(2). The state entity may then apply to the Attorney General to bring an action to permanently revoke the business licenses and permits of the business. Id. Upon the first violation by a subcontractor of Section (c), the state entity “may bar the subcontractor from doing business with the state, any political subdivision thereof, any state-funded entity, or with any contractor who contracts with the state, any political subdivision thereof, or any state-funded entity after providing notice and an opportunity to be heard.” SECTION 9(f)(1). In addition, the state entity may then apply to the Attorney General to bring an action to temporarily suspend the business licenses and permits of the subcontractor for a period not to exceed sixty (60) days. Id. The court in that action shall then order the subcontractor to file a signed, sworn affidavit with the local district attorney within three (3) days after the order suspending its business licenses stating that the subcontractor “has terminated the employment of every unauthorized alien and the subcontractor will not knowingly or intentionally employ an unauthorized alien in this state.” Id. The suspension shall terminate one (1) business day after the submission to the court of an affidavit by the subcontractor stating that it is in compliance with the Act. SECTION 9(j). Prior to the suspension under Section 9(f)(1) being lifted, the subcontractor must file an affidavit stating that it is in compliance with the Act and attaching the documentation establishing its enrollment in E-Verify. Id. Upon the second violation or subsequent of Section 9(c) by a subcontractor, the state entity may apply to the Attorney General to bring an action to permanently revoke the business licenses and permits of the business. Id. A business that complies with Section 9(b) shall not be found in violation of Section 9(a), and a subcontractor that is enrolled in E-Verify shall not be found in violation of Section 9(c). Sections 10, 12 and 18 of the Act deal with the presence of unlawful aliens and the identification requirements for unlawful aliens. Every person licensed to drive a motor vehicle must have a valid driver’s license on his or her person when operating a motor vehicle. SECTION 18 (amending ALA. CODE § 32-6-9(a)). If arrested for failure to produce a valid driver’s license and the arresting office is unable to determine the existence of a valid driver’s license, the officer must transport the person to the most accessible magistrate. Id. (amending ALA. CODE § 23-6-9(b)). The officer must also attempt to determine the citizenship of the person and verify the lawful presence of an alien, with a full inquiry being made to the Homeland Security Law Enforcement Support Center within 48 hours. Id. (amending ALA. CODE §§ 32-6-9(c) & (d)). In any situation, including driving, where an officer makes a lawful stop, detention or arrest, where reasonable suspicion exists that the person is an alien, a reasonable attempt shall be made to determine the person’s citizenship. SECTION 12(a). Any alien who is arrested and booked shall have his or her status verified by contacting the Federal government within 24 hours. SECTION 12(b). An alien who is not carrying alien registration documentation and who is unlawfully present in the United States shall be guilty of a Class C misdemeanor. SECTIONS 10(a) & (f). (1) A valid, unexpired Alabama driver's license. (2) A valid, unexpired Alabama nondriver identification card. (3) A valid tribal enrollment card or other form of tribal identification bearing a photograph or other biometric identifier. (4) Any valid United States federal or state government issued identification document bearing a photograph or other biometric identifier, if issued by an entity that requires proof of lawful presence in the United States before issuance. (5) A foreign passport with an unexpired United States Visa and a corresponding stamp or notation by the United States Department of Homeland Security indicating the bearer's admission to the United States. (6) A foreign passport issued by a visa waiver country with the corresponding entry stamp and unexpired duration of stay annotation or an I-94W form by the United States Department of Homeland Security indicating the bearer's admission to the United States. SECTION 12(d). (2) the performance of the contract required the alien to remain unlawfully present in the United States for more than 24 hours after the time the contract was entered into or performance could not reasonably be expected to occur without such remaining. SECTION 27(a). Several exceptions exist to this rule: (a) contracts for lodging for one night; (b) contracts for the purchase of food to be consumed by the alien; (c) contracts for medical services; and (d) contracts for transportation to facilitate the return of the alien back to his or her country of origin. SECTION 27(b). An unlawful alien may not enter into or attempt to enter into a business transaction with the State or a political subdivision, including applying for a license plate, applying for or renewing a driver’s license or nondriver identification card, or applying for or renewing a business license. SECTION 30(a). In addition, it is illegal for another person to enter into or attempt to enter into a business transaction with the State on behalf of an unlawful alien. SECTION 30(b). A violation of this Section is a Class C felony. SECTION 30(d). Any person, including citizens and lawful aliens, entering into or attempting to enter into a business transaction with the State must demonstrate his or her United States citizenship or lawful presence in the United States. SECTION 30(c). Lawful presence shall be demonstrated by verification through the Homeland Security Systematic Alien Verification for Entitlements program. Id. Section 11 of the Act makes it illegal to stop a vehicle on a street, roadway or highway “to attempt to hire or hire and pick up passengers for work at a different location if the motor vehicle blocks or impedes the normal movement of traffic.” SECTION 11(f). Similarly, it will be illegal for a person to enter such a vehicle in order to be hired. SECTION 11(g). Violations shall be a Class C misdemeanor and subject to a fine of not more than $500. SECTION 11(h). A solicitation, attempt or conspiracy to violate any criminal provision of the Act shall have the same penalty as a violation of the Act. SECTION 25(a). • Have an outside audit done of your Form I-9 and Immigration Practices. • Alert your employees, especially lawful aliens, to the necessity of carrying at all times identification information, preferably an Alabama driver’s license. Tommy Eden is an attorney with Capell & Howard, P.C. and a member of the ABA Section of Labor and Employment Law, and presented throughout the State of Alabama on Immigration Workplace Compliance and also to the Governor’s Commission in 2008. He would like to thank Will Cunningham, an Associate at Capell & Howard, for his help in summarizing the Bill.